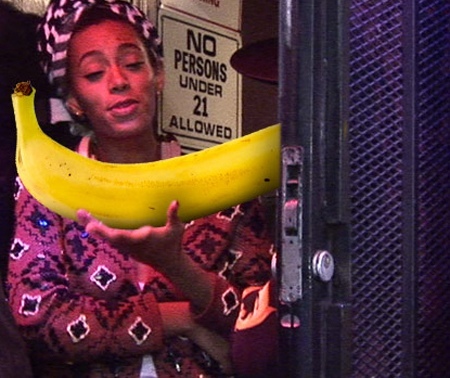 Solange Knowles Goes Bananas On Miami PD ! 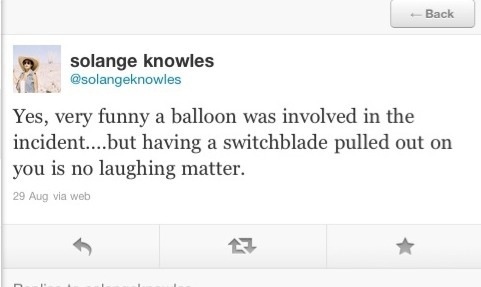 Solange Knowles is officially filing a report against a Miami PD officer. She says that a Miami officer pulled a weapon on her after they told her she could not enter the popular Miami nightclub, Cameo. The reason they denied her entry was because she wanted to go inside with a 5 FOOT INFLATABLE BANANA! She claims it was a present for a friend and that’s the reason she had it. Well now what kind of gift is an inflatable banana that’s awful! Turns out the Miami officer pulled out a switchblade and tried to take the life of the ginormous banana by popping it. 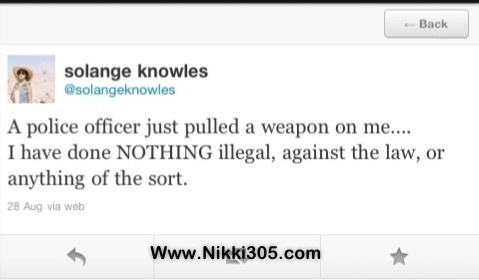 Knowles felt that her life was in danger and refused to take any crap from Miami officers. She called the department a filed a complaint and now she is taking legal actions against the officer and the city. She has already hired one of South Florida’s best attorney’s Roy Black. Here are her angry tweets. In one of them she mentions that she is tired of being discriminated. 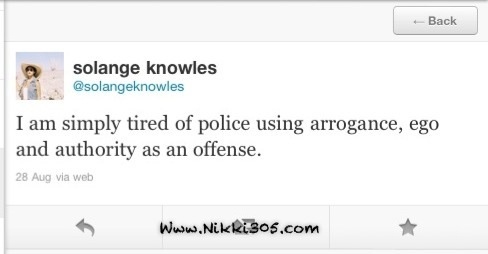 A message to Solange. We are in Miami the 2nd biggest melting pot not Alabama or Mississippi your color doesn’t mater here. I still can not believe this story I do no know who to believe in Miami florida. It should be interesting to hear more about this story.